The Bisons men’s and women’s volleyball teams were in Regina last weekend and had a successful end to their first half campaigns. The men won both of their games against the Cougars, only dropping two sets all weekend. St. Paul’s product Adam DeJonckheere had a team-best 13 kills on Friday, while Caleb Hickok led the herd with 14 digs. In a closer affair on Saturday, the Bisons managed to come back from 0-2 down and pull through to win 3-2 (20-25, 23-25, 25-17, 25-22, 15-10). In a game that went the distance, Devren Dear was able to smack home an astonishing 22 kills, the best of anyone on the court. Sitting tied for first place in the Canada West, the Bisons are in a good position heading into the break and will hope to continue their success in 2016. 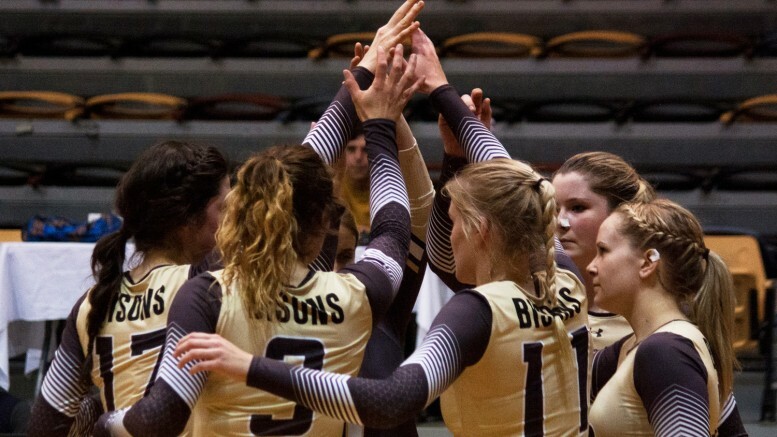 The Bisons women were able to get their second win on the season on Friday, beating the Cougars by a score of 3-1 (16-25, 25-10, 28-26, 25-19). Cassidy Pearson had 12 kills on the evening, the best for Manitoba. On Saturday, the Bisons were unable to hold on to a 2-0 lead and collapsed to fall 2-3 (25-23, 25-20, 22-25, 16-25, 11-15). It was a disappointing night for the herd, who played well to start the game off but couldn’t win the deciding fifth set. The win was the first of the season for Regina. Once again, the Bujan sisters led the team in both kills and digs, with Haillie Bujan getting 15 kills and sister Cassie providing 18 digs. The Bisons women finish 2015 with a 2-9 record and are sitting second last in the Canada West. The herd will look to climb out of the basement in 2016.